Time. We measure it, live by it, spend it, give it and sometimes waste it. Most of us wish we had more hours in day, more weeks to complete a project, more minutes before missing the flight, more time to say what we really wanted to say. Yes, timing is everything. What if we had more time than we thought and we just haven’t discovered that yet? Consider this as the advanced notice that like it or not, want to or not, most of us have the potential to live longer than we ever imagined. What the journey looks like getting there, is up to us. How we use the time will be our legacy. Measure your time. How much time do you have left? No one knows for sure. Here’s a simple calculation to determine one part of the best guess answer: Take the age of your oldest relative ever and subtract your current age from that number. The answer is your Minimum Potential Years Remaining. Your M-PYR. Genes are only a minor factor for life expectancy. The way you choose to live hour by hour, day to day, from one year to the next is your lifestyle. Lifestyle choices play a major role in life expectancy for you and for your family. If the choices are sedentary, monotonous, stressful, and unhealthy your time may be limited. If the choices are active, exhilarating, positive and vitalistic your time could be extended beyond your imagination. Measure your time by your lifestyle choices and ask yourself if you like what you see. How you take care of yourself physically, mentally and emotionally now affects the future measurement of your time, your life. Take care of your body and take special care of your spine. It protects your nervous system which is your personal IT system designed to integrate your mind and body for perfect communication between the two. Live, spend and give your time. Lifestyle choices either free us up to spend time with and give time to others or they consume us in a crisis to crisis survival mindset. Those who live life fully have made daily choices to use their time wisely, to incorporate self-care before crisis sets in, and give out of their abundance. People who are at peace in their life are able to give back to their community. The healthy balance that comes from physical well-being, reduced stress, and habits that strengthen the individual’s passions enable them to make better choices over and over. Develop social circles filled with the type of person who is positive, healthy and focused and be built up while you build up others. Exercise together, serve in your community together, eat healthy foods together, attend inspiring lectures together. If you want to do something different with your life and your time, you can. Change is easy, thinking about change is hard. Schedule your time. Your schedule will either dominate all of your time or you will be master over your schedule. Set aside time to take care of yourself. If you put it off, and your health suffers, the rest of the schedule can fall apart without warning. You can’t afford to get sick. Overbooking your day, week and month only to be forced to scramble and scurry is detrimental. Plan ahead, make appointments to get your spine and nervous system checked regularly, and choose to live like time is on your side. But only if you manage it wisely. 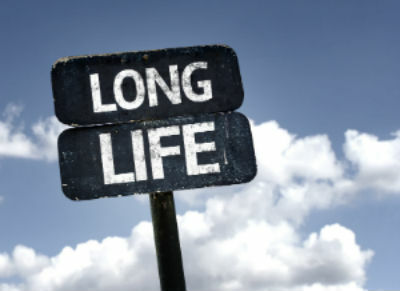 It’s impossible to predict exactly how long you will live so why not live your best life every day of your life like you will live to 80, 90, 100 years or beyond? Live your ideal 100 Year Lifestyle starting today.